Bill McKibben, RLA Laureate 2014, will be giving seminars for students at RLC Santa Cruz via Skype on 12 February 2015. 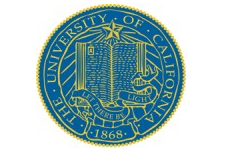 The California Campus is also currently building up an extensive online database on all RLA Laureates to date. Two students will be involved in this project, researching ways to better connect Laureates and UCSC’s faculties. In other news, the RLC at the University of California Santa Cruz launched the first “Food & Water Watch Hub” in 2014, whereby students are collaborating with organizers out of the Oakland, CA office of Food & Water Watch to support anti-fracking, anti-GMO and water justice initiatives. Students involved with this new initiative took a field trip to a neighbouring county in October to campaign against fracking. Their political activism paid off and San Benito County recently became the second county in California to ban fracking. Further, the RLC Santa Cruz launched the first year of a new Collaborative Learning program, with 120 students enrolled in the first quarter.